More and more details are being revealed about Balqees Fathi's unique wedding. 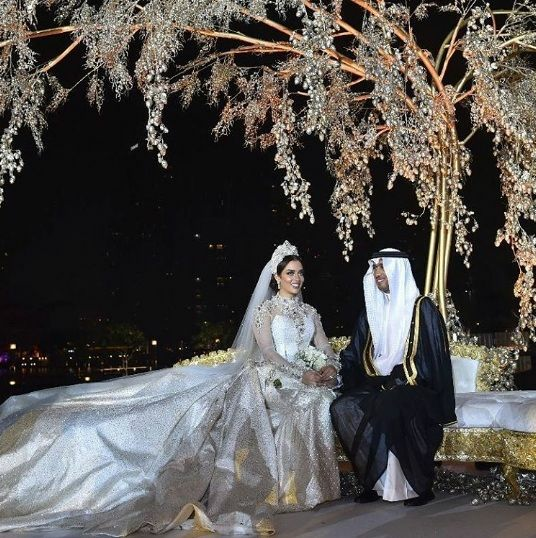 We all fell in love with Balqees' wedding dress, designed by Saudi fashion designer Tima Abid, which took 1500 hours in the making, and consisted of 24 thousand diamonds. But what not everyone knew about the wedding dress, is that the huge train of the dress fell off after Balqees entered the wedding venue and welcomed her guests. Balqees laughed off the incident and continued dancing with her groom. More pictures of Balqee's wedding here!